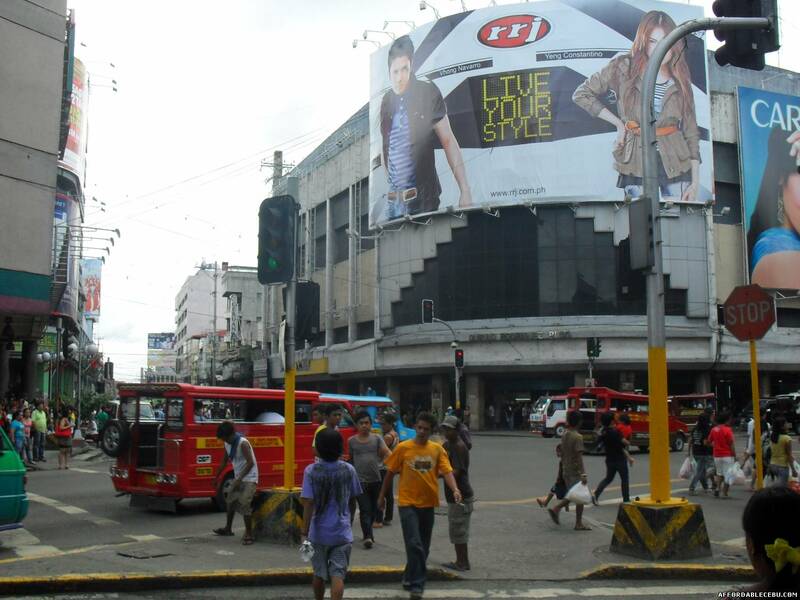 It’s not new anymore that a lot of streets in Cebu are unsafe because of snatchers, pickpockets – name them all. I even had a taste of them a few years back. Of all places, it is Colon, the oldest street in Cebu, that is taking the crown. However, it is ironic that it may not be the most go-to place in Cebu, but I always get something from there. It may not be the most beautiful place, but it always gives me life’s most beautiful lessons. Now, I came up with a realization – judging someone by first impression is never a good idea. In this article, I will let you know why I never trust first impressions. The worsening traffic remains one of Cebu’s biggest problems. As a commuter, you are very lucky to get a spot in a jeepney. There is no wonder why getting a ride especially during rush hour is a commuter’s big struggle. Today, I have a story. Earlier this afternoon, I was in a jeepney heading to SM when it came to a stop in Colon. There were only two spaces left for passengers, the first was in front of me and the second was right beside me. Three passengers went inside the jeepney. The first one sat in front. Her companion went up the last. So, what she did was she put her bag beside me to reserve the seat. The second one who went up next, a lady in the mid 20’s, occupied the reserved seat. The lady in front then told her, “Excuse me. It’s my friend’s seat. There are two of us here.” The lady beside me became outrageous and began shouting, “and so? and so? I went up first!” In response, the lady in front said, “but we are two..” The lady beside me was so mean fighting for her spot. The third lady who went up who happened to be the friend of the lady in front of me squeezed herself in beside her friend. With rolling eyes and murmuring mouth, the tension between them continued to rise for the next minute until the exchange of words came to a stop. The lady in front turned away and the lady beside me diverted her attention to her phone. The ride to SM lasted for about ten minutes. There I was observing the situation. I thought about how both considerate (for her friend) and selfish (for the next person behind her) the lady in front of me. I also thought about how rude the response of the lady beside me to that older lady. She could have answered gently instead of being so mean with her words. Then, I started throwing myself a question. If I were in their shoes, what would I do? Because of this situation, I began making first impressions. I knew that the other passengers inside the jeepney also thought about the lady beside me being so rude. However, we judged her after being in her presence for only a few minutes. Would that be enough to get to know her really? When we reached the terminal, the “rude” lady looked at me. I was shocked because she was smiling, not the sarcastic one, but a big smile of relief. She started talking to me about how busy she was today at work that she exploded inside the jeepney when the other lady tried to steal her seat. Then, she continued talking and talking until we reached the mall entrance. She even mentioned some Cebuano songs, etc. Imagine how far the conversation had gone into. After that, we bid goodbyes and parted ways. Then, I realized she isn’t really what I first thought she was. The preconceived knowledge of the little information I had of her formed an inaccurate picture of who she is. The moment we started talking and I got to know her more, that inaccurate picture of what I thought she was like was replaced by who she is really like. She was having a rough day and was not her usually happy self. But, all the passengers inside the jeepney saw was that she is mean, angry and not very nice. I know that sometimes, I am guilty of this when I respond very differently to people by how they act on me. I also even notice this with others, too. Well, Colon just gave me another reminder. That is to keep in mind that there is more to someone than the first impression. You might not know, you will end up making a great friend who will you never have if you hadn’t given her a chance. It’s so true what you say about first impressions. I’ve made the same mistake so many times. In reality, we just don’t know what goes on in a person’s life and why they act a certain way at a certain moment.